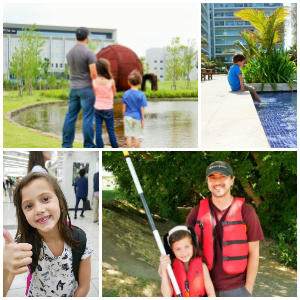 In my last post on Costa Rica, I introduced you to San Jose and shared some of our family’s favorite things to do, places to eat, and place to stay during your time there. Now it’s time to explore outside of the cities and dive into the adventure that awaits you and your family in the mountains, forests, and beaches of Costa Rica. As you leave San Jose, wildlife is everywhere! You don’t have to travel far to be immersed in nature and animals. For our kids, this was an amazing site; they had never seen monkeys or colorful birds outside of a zoo, and they had never experienced so much green! Nature is precious here, and it’s preserved and respected. Seeing so many animals in their natural surroundings was truly beautiful and awe inspiring. 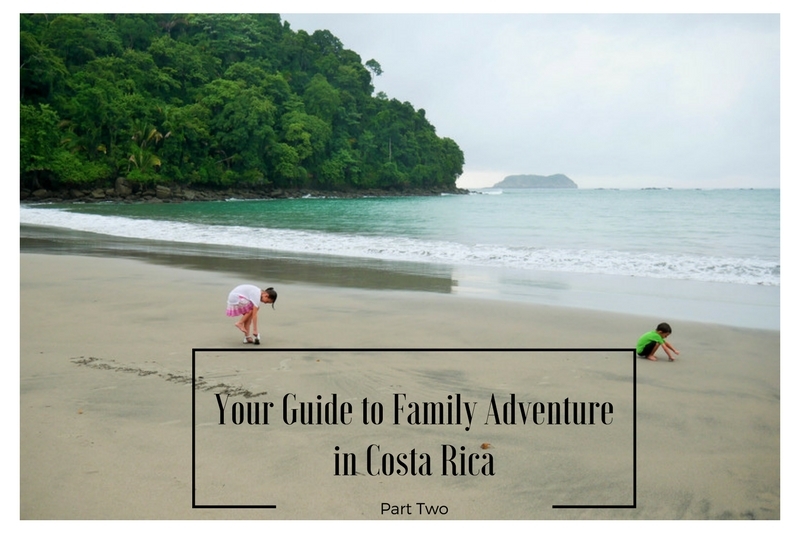 As I explained in my last article, our family spent almost two months in Costa Rica, so I’m going to show you how to get the most out of this magical destination with this three-part guide. Below you will find part two of our guide with the best places to eat, sleep, and how to get the most out of your family trip to Costa Rica! Located in the heart of a jungle mountain and right next to the Manuel Antonio National Park is this oasis of a hotel that must be experienced. Even though it is right along a main road, you feel as if you are hidden away in a jungle. With spectacular ocean views and beautifully appointed rooms, Si Como No is a true gem of Costa Rica. The only negative with staying at Si Como No is that you won’t want to leave the hotel to go and explore. You will find yourself wanting to sit on your balcony for hours just soaking in all the beauty. If you do manage to leave your room, you won’t get far once you see the gorgeous pool surrounded by flowers, a pull-up in-pool bar, waterfall, and once again, spectacular views. The feel of this hotel is serene and incredibly relaxing. You almost feel more like you are at a spa than a hotel. If you can pull yourself away from Si Como No, it’s time to explore the area! If the weather is good, you will want to head over to the Manuel Antonio National Park where you will find not only a gorgeous park but also more animals than you can count! We spotted many different species of frogs and monkeys, and we even saw wild raccoons. To be completely honest, I didn’t even know Costa Rica had raccoons! They have a different look than the ones we have in the U.S., and they traveled in family groups. If enjoying nature and relaxing on a beautiful beach is what appeals to you and your family, you will want to make sure you plan for at least a half day trip to the National Park. Personally, I could spend days here! If you want to spot even more frogs, you can head right across the street from the hotel to the Amphibious Garden. Unfortunately, we visited during the rainy season, and it was too wet for us to go through at the time. I would also highly recommend an adventurous excursion while staying at Si Como No! Nestled within over a thousand acres, and bounded by 5 kilometers of private riverfront and primary forest, MidWorld takes all the adventures the area has to offer and places them in one setting. Located only minutes away from Manuel Antonio and Quepos, all of their activities are based within the property, giving you more time to enjoy your vacation and less time getting to it. Our family was picked up at Si Como No and taken on an adventure up the mountain! On either your way in or out you will also want to stop at the Tárcoles River. Here you will be able to spot many crocodiles! Kids will really get a kick out of it! Costa Rica has essentially two seasons: dry and wet. January through April is part of the dry season, and May through December is the wet season. From Christmas until the end of the first week in January is a high tourism time. If possible, you might want to avoid these times since finding accommodation will be more limiting. Don’t be scared off by the wet season because it makes everything amazingly green and beautiful! During the rainy season, you will still experience plenty of sunny days. When I think of restaurants in Costa Rica, there will always be one that comes before all others: El Avión. A C-123 Fairchild cargo plane has been converted to a pub and a two level bar, and restaurant has been built in, around, and above the plane. A cargo plane, a view, great food, and monkeys. What more could you want? Located up the road from Si Como No, you can’t miss this epic restaurant. With a large plane integrated into the building, it takes themed restaurants to a whole new level. I personally thought that was cool enough, but as we sat there soaking in the view, monkeys came wandering through. I don’t normally welcome animals to the dinner table, but they were too cute to shoo away. As an FYI, please don’t ever feed any of the wild animals because it’s not safe for them or for you. If you find yourself not wanting to wander far for a good meal, you will find Claro Que Si Seafood Grill & Wine Bar right next door. Again, with the typical Costa Rican open air seating, you can enjoy dinner with an amazing view. Have some drinks and good food, and after dinner, you can be back in your room in a matter of minutes. Even if this were the only region of Costa Rica you ended up seeing, you would have no regrets at the end of your journey. Be sure to stay tuned for my third and last article showcasing a little wilder side of Costa Rica and, of course, more adventure! 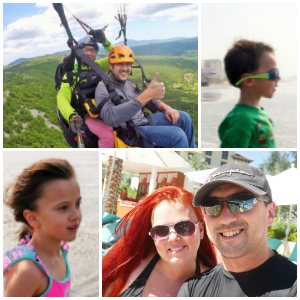 Be sure to check out the last guide for more information and tips to make the most of your Costa Rican family adventure!